Nourishes the lungs and bronchi. Is a balancing formula to minimize respiratory irritation. The respiratory system regularly encounters airborne particles such as microorganisms, pollutants, pollens and dust, and protects delicate body tissues. As a result, the functions of the lungs and bronchi can be affected. 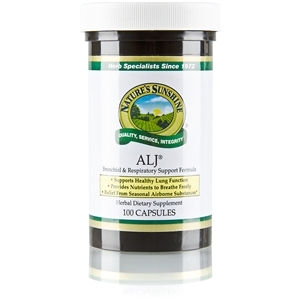 This Ayurvedic formula nourishes the lungs and bronchi and helps support the respiratory system. 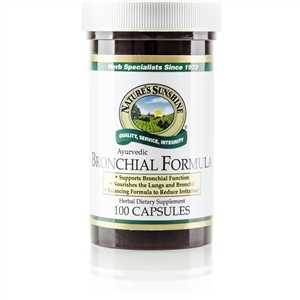 This formula, developed in concert with Indian Ayurvedic masters with herbs direct from India, provides nutrients necessary for respiratory health and function. Adhatoda vasica leaf extract, Glycyrrhiza glabra root extract, Alpinia galanga rhizome extract, Clerodendrum indicum root, Inula racemosa root extract, Myrica nagi bark extract, Verbascum thapsus leaves, Phyllanthus emblica fruit, Hedychium spicatum root, Picrorrhiza kurrooa root extract, Pimpinella anisum fruit, Pistacia integerrima gall, Zingiber officinale rhizome, Ocimum sanctum leaf extract, Tylophora asthmatica leaf, Abies webbina leaf, Elettaria cardamomum seed and Ferula assafoetida gum.